From Concrete international, August 2009, pages 35-38. Reproduced with permission of the American Concrete Institute (www.concrete.org). Using the down-draft beehive kilns of that time, brick making was a rather inefficient process, as the temperature varied greatly within the kiln. After a particular load was “burned,” the product had to be hand sorted. “Hardburned” bricks were suitable for exterior use because of their resistance to rain penetration as well as the effects of freezing and thawing. “Salmon” bricks (so-called because of their pink color) were not thoroughly burned but were suitable for interior use. A third category, “bloaters,” went into a cull pile and represented a significant financial loss to the producer. These were bricks located close to the heat source in the kiln that were heated too rapidly for the evolved gases within the clay to dissipate, and thus expanded by more than a third of their original size. Bricks produced with certain clay deposits retained this distended shape upon cooling, resulting in a vesicular internal structure with essentially unconnected voids surrounded by a hard, impermeable ceramic-like matrix. Stephen Hayde had an inventive and resourceful mind. He saw value in crushing the cull pile to size and incorporating it in a concrete mixture. This, he felt, could provide a consistent way to produce a lightweight concrete of substantial strength and durability. In a letter to his nephew George dated October 7, 1914, he recounted how he had “burned” some material at the Ocean Shore Iron Works in San Francisco. He specifically mentioned that “some of the material is so light it floats in water.” He also mentioned that his final product didn’t have planes of weakness. Along with the letter, he sent samples of the material he’d prepared. Hayde was so sure of the virtues of his new material that he engaged a patent attorney on January 29, 1914. U.S. Patent No. 1,255,878 was subsequently issued in Hayde’s name on February 18, 1918.5 The patent covered argillaceous material and specifically mentioned “special clay, slate, and shale rock,” implying that not all argillaceous material is suitable, and that the product must be heated to a temperature of 1220 °C (2228 °F) for about 2 hours. 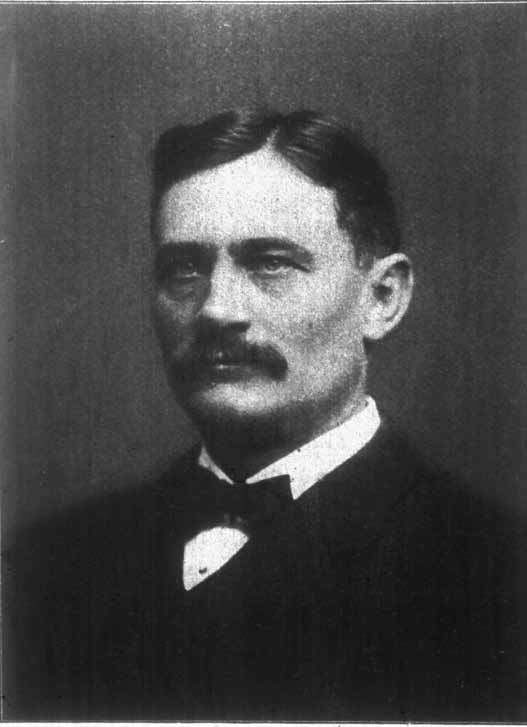 In the text of the patent, Hayde stated, “my invention relates to the manufacture of brick, tile, terra cotta, and like molded articles.”6 After returning from San Francisco to Kansas City, Hayde took charge of the Flannigan-Zeller Brick Company, where he had access to brick kilns as well as access to rejects from the brick making process (bloaters) to crush to a size suitable for doing research on low-density concrete. His offer was made in a letter dated February 18, 1918, to the Director of the Department of Concrete Ship Construction, U.S. Emergency Fleet Corporation, Washington, DC. The response was provided on March 6, in a letter signed by R.G.J. Wig as Chief Engineer and initialed by C.W.B. (Carl W. Boynton). The letter expressed interest in the “burnt clay as a concrete aggregate in concrete with boat construction and anticipated that the material can be developed to a point where it will give us the required strength, and at the same time reduce the weight of the concrete materially.” Subsequent testing verified that Haydite could be used to produce 28 MPa (4000 psi) concrete with a density of 1697 kg/m3 (106 lb/ft3). With Hayde’s experience making a high-quality lightweight aggregate using a rotary kiln, it was surprising that the first ship built by the Department of Emergency Ship Construction was constructed using aggregate from the much less efficient down-draft beehive kilns in Birmingham, AL. Sufficient material was produced to supply concrete for the 272 tonnes (300 ton) Atlantis, launched in December 1918. The second concrete ship was the Selma, with a length of 132 m (434 ft), a beam of 13 m (43 ft), and a full-cargo draft of 8 m (26 ft). The ship’s hull was 127 mm (5 in.) thick on the bottom and 100 mm (4 in.) thick on the sides. Cover over the reinforcement was only about 16 mm (5/8 in.). The aggregates used to construct the Selma were made by the Atlas Cement Company in Hannibal, MO, using the rotary kiln method. A total of 6670 tonnes (7350 tons) of expanded aggregates were shipped to the Fred T. Ley Company, the operator of the government shipyard in Mobile, AL. The good performance of rotary-kiln-produced lightweight aggregate when used for concrete ship construction was not missed by government employee Carl Boynton, who proceeded to arrange for a patent to cover what was essentially covered in Hayde’s patent. This is especially surprising in that Boynton had expressed to Appo, one of Hayde’s associates in the Haydite company, that “the process…was entirely outside his knowledge of burning materials and burning processes.” On May 7, 1928, at the Court of Appeals of the District of Columbia, a decision was rendered that the court was “convinced that Boynton derived his knowledge of the invention from Hayde, and that Hayde is entitled to the award of priority.” A key piece of evidence in the case was the letter Hayde had written to his nephew George. A petition for a rehearing was denied on June 1, 1928. Unfortunately, that victory came some 16 days after Hayde died when traveling by rail from Montreal to Kansas City. The Atlantis lays a wreck in pieces at Crystal Beach on the southern tip of Cape May, NJ. One of the authors visited the wreck about 1980 and found the concrete of very poor quality. The Selma was scuttled decades ago off the coast of Galveston, TX. One of the authors visited the Selma in 1985 and observed that the concrete was generally in excellent condition, and the imprint of the form boards could still be clearly seen—even at the water line. As is the case of the concrete ships from World War II, the main deck shows distress mainly due to improper concreting practice. Nevertheless, the concrete was in generally good condition and shows what can be expected of concrete made with rotary-kiln-produced lightweight aggregate. 1. Bremner, T.W., and Holm, T.A., “High Performance Lightweight Concretes,” Proceedings of the Second CANMET/ACI International Symposium in Advances in Concrete Technology, SP-154, V.M. Malhotra, ed., American Concrete Institute, Farmington Hills, MI, 1995, pp. 1-80. 2. Bremner, T.W. ; Holm, T.A. ; and Stepanova, V.F.,“Lightweight Concrete—A Proven Material for the Millennia,” Proceedings of Advances in Cement and Concrete, S.L. Sakar and M.W. Grutzeck, eds., University of New Hampshire, Durham, NH, 1994, pp. 37-51. 3. Whitney, C.W., Kansas City, Missouri: Its History and Its People 1800-1908, V. 3, 1908, pp. 134-135. 4. Kansas City Architect and Builder, V. 20, No. 11, Nov. 1905, p. 12. 5. Hayde v. Brynton, 26F.2d 987 (D.C. Cir. 1928). 6. U.S. Patent No. 1,255,878 (issued February 12, 1918). 7. Fisher C.W., “Lambot’s Boat—A Personal Discovery,” Concrete, Nov. 1967, pp. 380-382. 8. Bremner, T.W. ; Holm, T.A. ; and Morgan, R.D., “Concrete Ships— Lessons Learned,” Proceedings of the Third CANMET/ACI International Conference on Concrete in Marine Environment, SP-163, V.M. Malhotra, ed., American Concrete Institute, Farmington Hills, MI, 1996, pp. 151-170. 9. Kansas City Star, June 11, 1928. 10. Conversation with John Hayde of Kansas City, MO, a descendant of Stephen J. Hayde’s brother. T.W. Bremner, FACI, FCSCE, is Professor Emeritus and Honorary Professor of Civil Engineering at the University of New Brunswick, New Brunswick, Canada. He is Past President of the ACI Atlantic Chapter. He received the ACI Cedric Wilson Award in 1988 and ACI Construction Practice Award in 1989, and is Past Chair of ACI Committees 122, Thermal Properties and Performance of Concrete and Masonry Systems, and 213, Lightweight Aggregate and Concrete. ACI member John Ries is President of the Expanded Shale, Clay and Slate Institute, Salt Lake City, UT. His committee memberships include the ACI Board Advisory Committee on Sustainable Development and ACI Committees 211, Proportioning Concrete Mixtures; 301, Specifications for Concrete; 302, Construction of Concrete Floors; and 308, Curing Concrete.